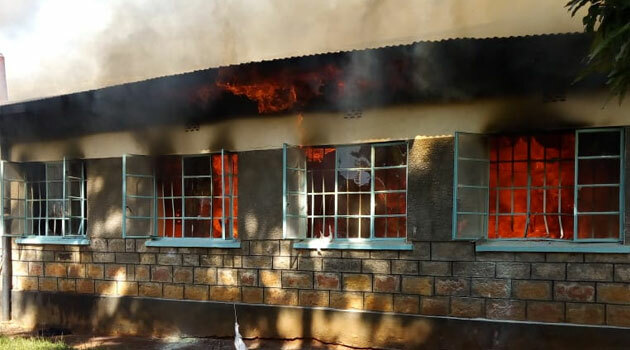 KISII, Kenya, Mar 11 – Property of unknown value was damaged Monday after a fire broke out at the Mt Arvena Novitiate Sisters Training Institute which is an affiliate of the Franciscan Sisters of St Joseph Asumbi at Kisii South Sub-County. The fire which is believed to have been caused by an electrical fault in one of the rooms spread to other 20 rooms. Riana Location Chief Edward Moenda said that he heard members of the public screaming and sought help. “I alerted police officers and rushed to the scene for assistance,” said Moenda. Kisii Police and County Fire Brigade rushed to the scene with the help of the public and were able to contain the fire before it spread to other floors. Kisii County Police Commander Martin Kibet confirmed no one was injured. Kibet said that they have launched investigations.